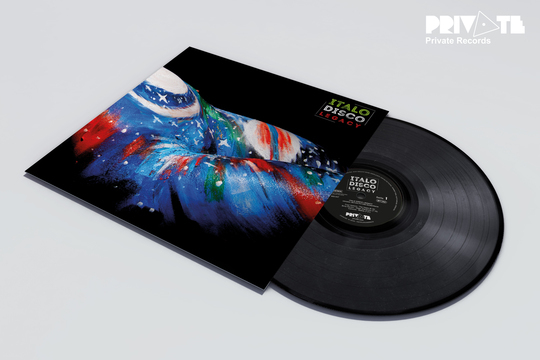 Support the release of an incredible full length documentary film about the Italo Disco cult and an amazing double vinyl compilation! The ultimate Italo Disco documentary movie. Directed by Pietro Anton, produced by Private Records. 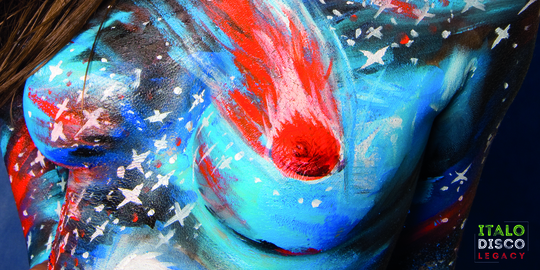 Exclusive crowdfunding project starting now! The full length documentary, currently in post production, is planned to get released in December. A 30 minutes preview will be screened in Milan at the Reverso Music Festival on October 21. 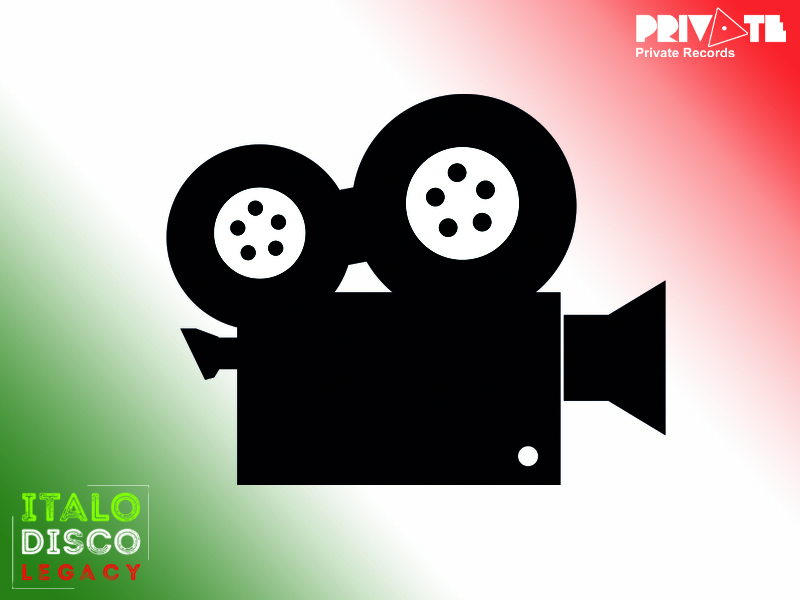 Support this campaign and become active part of the production process of the film! 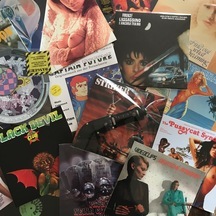 The 2xLP soundtrack with gatefold cover features tracks by Fred Ventura, Expansives, Miss Plug Inn, Simona Sierra, The Hacker, Marc Almond, Alba, Wanexa, Flemming Dalum, Body Electric,... and even an unreleased 1980's gem by Alexander Robotnick!!! Secure your limited collector set now. Incl. DVD + 2xLP soundtrack + HQ free download (mp3, wav, flac,...) + poster. This is an unmissable chance to actively support the production of an incredible full length documentary about the music we love: Italo Disco! This fundraising campaign will help us cover the post production, manufacturing and licensing costs, allowing this fantastic project to see the light of the day after four years spent shooting exclusive interviews with more than 40 legendary musicians, djs and producers from the 80's until today. An unforgettable visual journey featuring the stories of the original Italo heroes, rare and exclusive footage, and tales of burning devotion of generations of new artists and Italo fetishists, keeping the legacy alive and kicking. 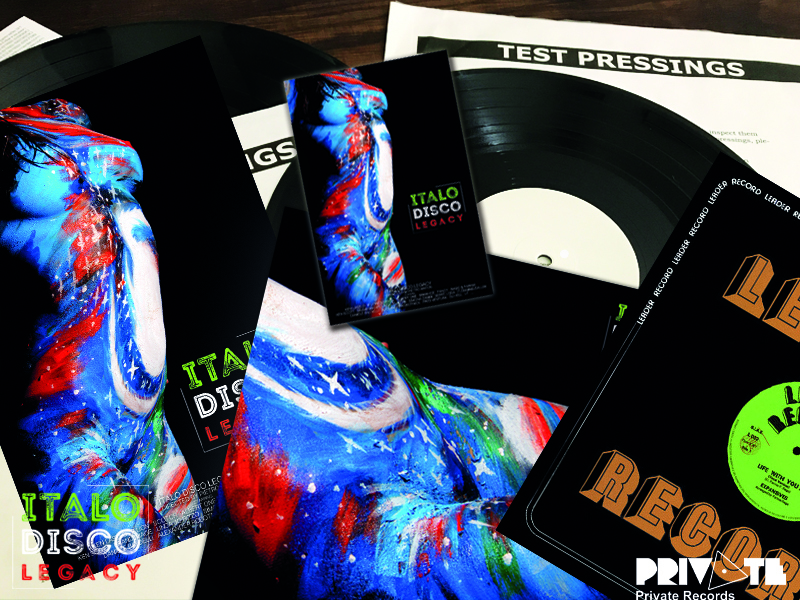 ITALO DISCO LEGACY documentary as stream and exclusive invitation with guest list place to the official release party in Berlin! 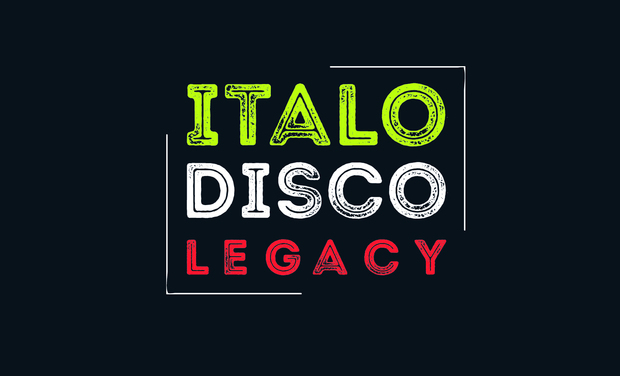 ITALO DISCO LEGACY documentary as stream + ITALO DISCO LEGACY (Original Motion Picture Soundtrack) as download and exclusive invitation with guest list place to the official release party in Berlin! ITALO DISCO LEGACY documentary as stream + your name in the endtitle of the movie!!! and exclusive invitation with guest list place to the official release party in Berlin! ITALO DISCO LEGACY documentary as DVD + your name in the endtitle of the movie!!! + worldwide registered shipping and exclusive invitation with guest list place to the official release party in Berlin! ITALO DISCO LEGACY documentary as DVD + 2xLP vinyl soundtrack + worldwide registered shipping and exclusive invitation with guest list place to the official release party in Berlin! ITALO DISCO LEGACY documentary as DVD + signed by the director + your name in the endtitle of the movie!!! + worldwide registered shipping and exclusive invitation with guest list place to the official release party in Berlin! The perfect christmas present for every 1980's music lover. 2xLP + DVD set signed by the director of the movie and producer with a christmas dedication + worldwide registered shipping and exclusive invitation with guest list place to the official release party in Berlin! ITALO DISCO LEGACY documentary as DVD + 2xLP vinyl soundtrack (very limited colored vinyl) + worldwide registered shipping and exclusive invitation with guest list place to the official release party in Berlin! 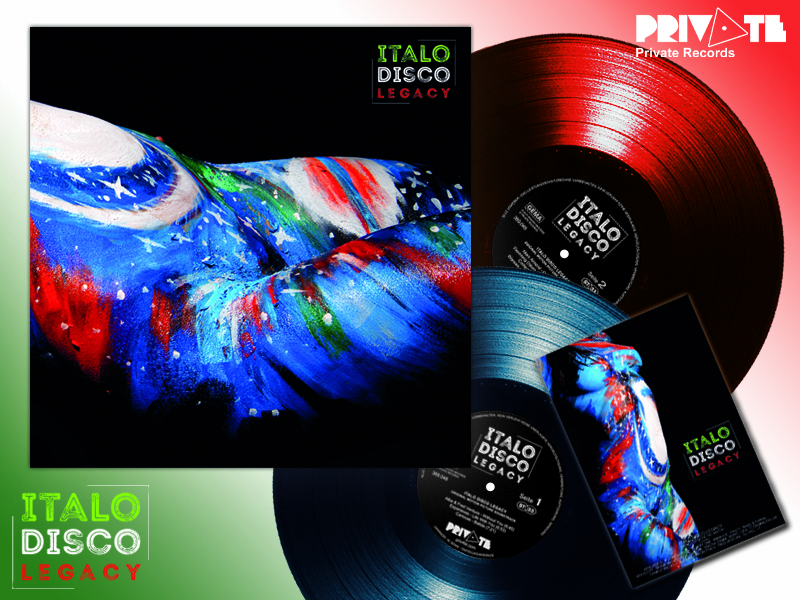 ITALO DISCO LEGACY documentary as DVD + 2xLP vinyl soundtrack (limited colored vinyl) & large DIN A2 + streaming + your name in the endtitle of the movie!!! + worldwide registered shipping and exclusive invitation with guest list place to the official release party in Berlin! 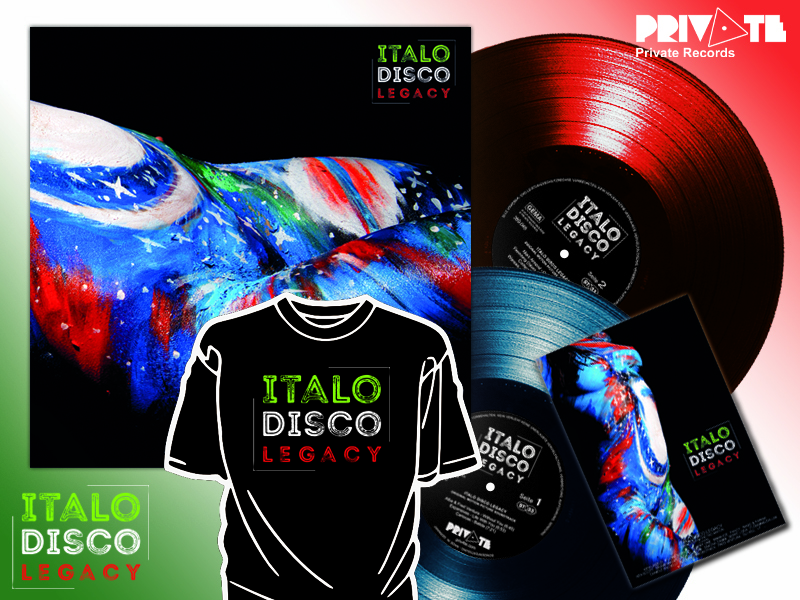 ITALO DISCO LEGACY T-SHIRT (custom made HQ design shirt + silk screen printing) & ITALO DISCO LEGACY documentary as DVD + 2xLP vinyl soundtrack (colored vinyl) + worldwide registered shipping and exclusive invitation with guest list place to the official release party in Berlin! ALL IN ONE: signed DVD + 2xLP black vinyl soundtrack+DVD + 2xLP black vinyl soundtrack+DVD (incl. limited bonus 12" Maxi + 2xLP colored vinyl soundtrack+DVD + 2xLP colored vinyl soundtrack+DVD (incl. limited bonus 12" Maxi) + poster + credit in the endtitle of the movie + worldwide registered shipping and exclusive invitation with guest list place to the official release party in Berlin! Dealer Set 10 x DoLP Soundtrack incl. DVD+ worldwide free shipping worldwide and exclusive invitation with guest list place to the official release party in Berlin! 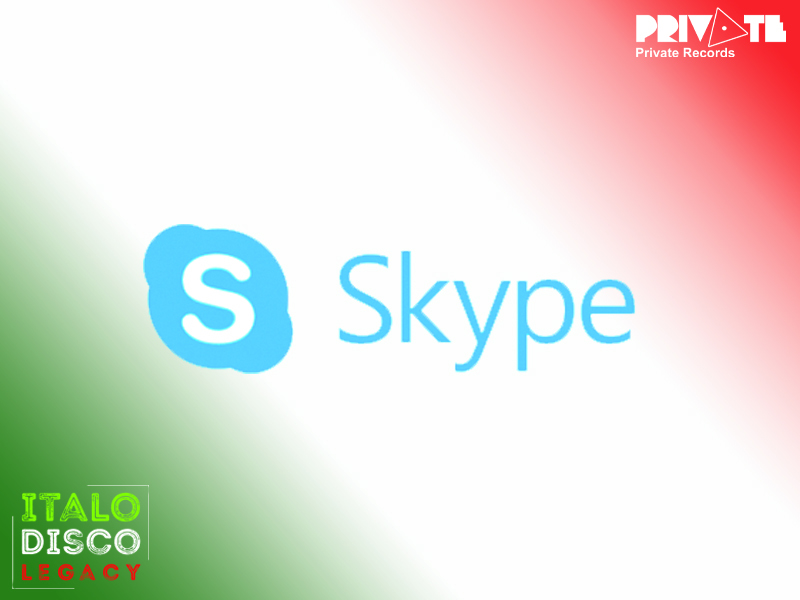 A Skype call with the director of the movie Pietro Anton and Private Records owner Jay + streaming + your name in the endtitle of the movie!!! and exclusive invitation with guest list place to the official release party in Berlin! Dealer Set 20 x DoLP Soundtrack incl. DVD+ worldwide free shipping worldwide and exclusive invitation with guest list place to the official release party in Berlin! Merchandise set incl. all variations of the 2xLP soundtrack, DVD, poster + unreleased full lengh interview with 1970's french cult produder Bernard Fevre aka Black Devil Disco Club + worldwide registered shipping and exclusive invitation with guest list place to the official release party in Berlin! White label test pressing collector set!! Incl. signed testpressing + signed DVD + 2xLP black vinyl soundtrack+DVD + 2xLP black vinyl soundtrack+DVD (incl. limited bonus 12" Maxi + 2xLP colored vinyl soundtrack+DVD + 2xLP colored vinyl soundtrack+DVD (incl. limited bonus 12" Maxi) + poster + credit in the endtitle of the movie + worldwide registered shipping and exclusive invitation with guest list place to the official release party in Berlin! Private screening of the movie and conversation with the director and owner of Private Records in Berlin + streaming + your name in the endtitle of the movie!!! and exclusive invitation with guest list place to the official release party in Berlin! Private screening of the movie for you and your friends in a cinema in Berlin and conversation with the director and owner of Private Records + streaming + your name in the endtitle of the movie!!! and exclusive invitation with guest list place to the official release party in Berlin! 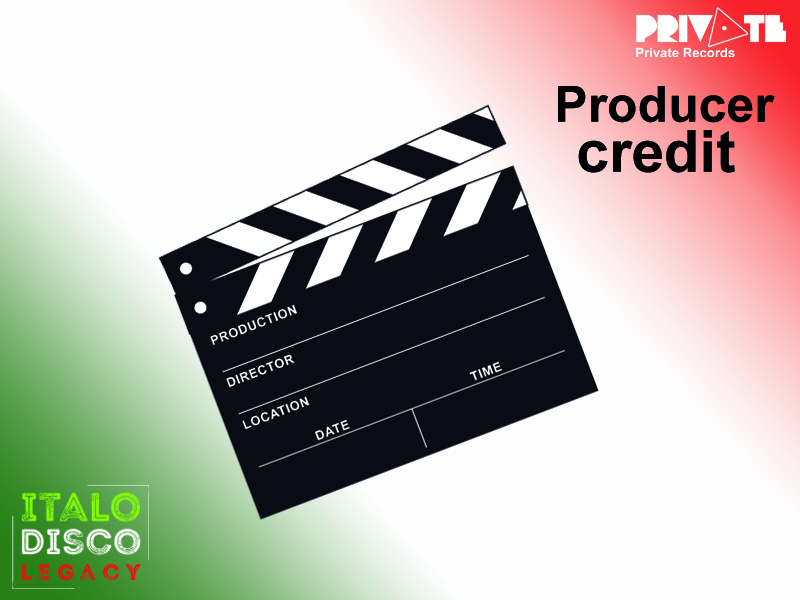 Producer credit in the movie + large merchandise set incl. 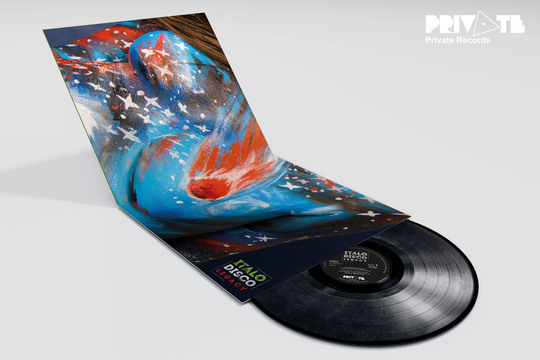 several copies of all variations of the 2xLP soundtrack, DVD, poster,... and exclusive invitation with guest list place to the official release party in Berlin! 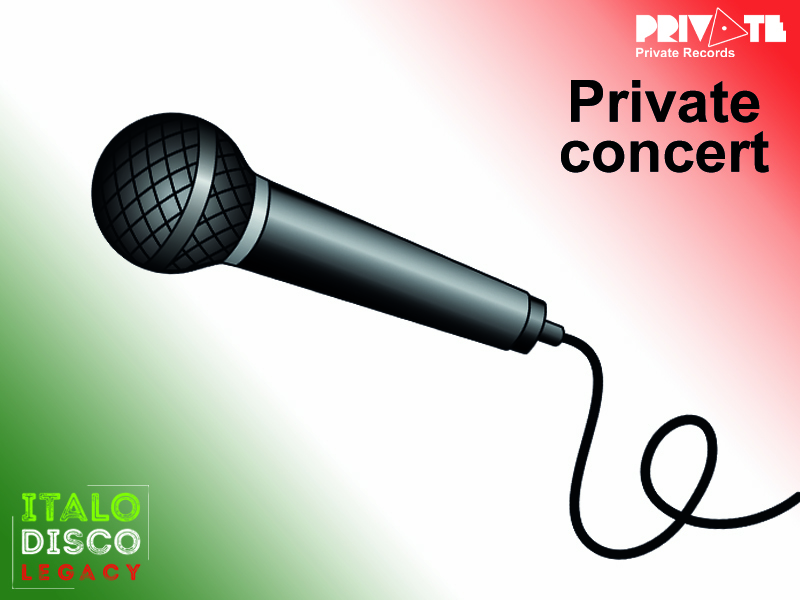 Private Concert in Berlin with 1980's Italo Disco legend Fred Ventura or "Rago & Farina" aka Lectric Workers, Decadance, Expansives, Wanexa, Atelier Folie,... + an exclusive invitation with guest list place to the official release party in Berlin + your name in the endtitle of the movie!!! 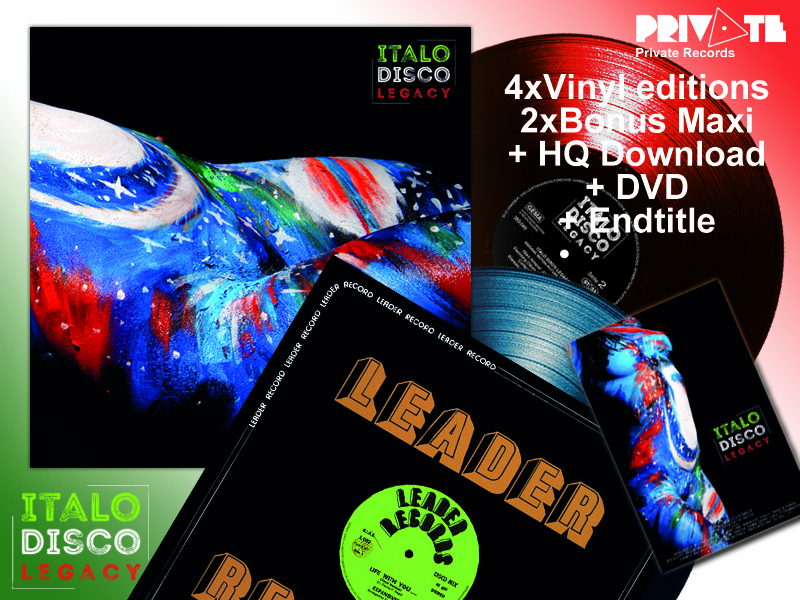 ITALO DISCO LEGACY documentary as DVD + 2xLP vinyl soundtrack + your name in the endtitle of the movie!!! + worldwide registered shipping and exclusive invitation with guest list place to the official release party in Berlin!